Back in 2013, we were telling you about about a small agricultural project on the International Space Station – now, the space veggies are ready to be harvested and enjoyed; for the first time, astronauts will be eating food grown in space. Everything that’s done on the ISS is done for a reason, or several reasons. 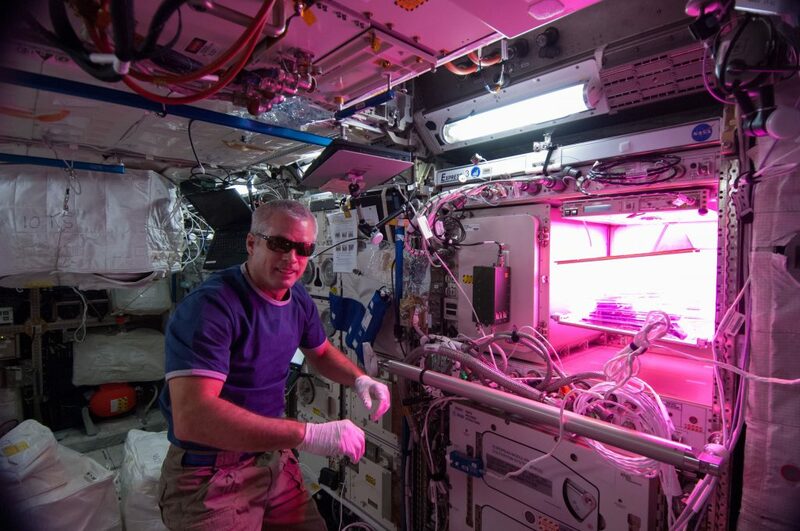 NASA’s plant experiment, called Veg-01, will not only provide fresh food for astronauts, but it will reveal how space-grown food fares compared to regular food and what impact (physical and psychological) it has on astronauts. “There is evidence that supports fresh foods, such as tomatoes, blueberries and red lettuce are a good source of antioxidants,” said Ray Wheeler, lead for Advanced Life Support activities in the Exploration Research and Technology Programs Office at Kennedy. Furthermore, the possibility of growing food in outer space raises some interesting possibilities, especially for long-term space expeditions. 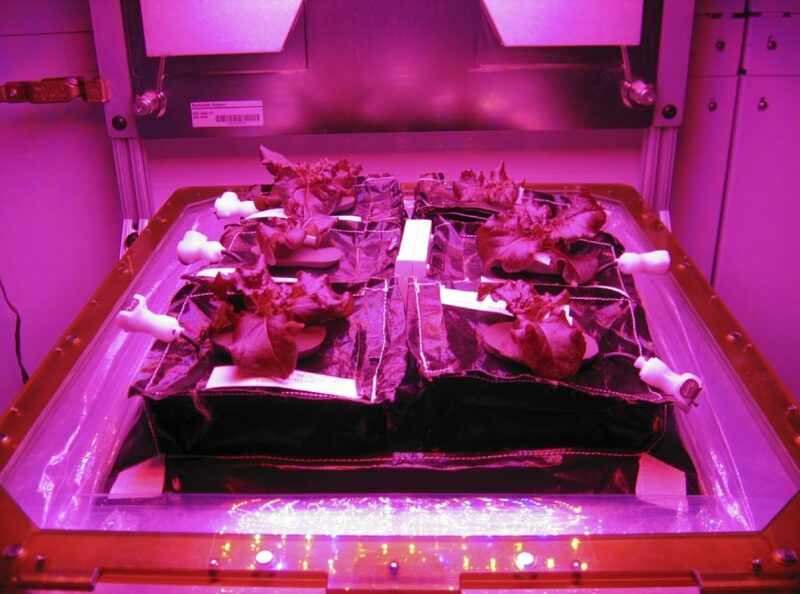 For starters, if the project is successful, then astronauts on the ISS would need less supplies shipped from Earth – they could grow some of their own food, although space is a very valuable resource… in space. But further down the line, this brings new prospects for NASA’s manned Journey to Mars program, scheduled to take place in the 2030s, in which people would spend over a year in space on their way to Mars. We won’t be able to send any supplies from Earth, and grown food would help not only logistically, but also with the mental health of the astronauts – eating familiar food is always nice. “The farther and longer humans go away from Earth, the greater the need to be able to grow plants for food, atmosphere recycling and psychological benefits. I think that plant systems will become important components of any long-duration exploration scenario,” said NASA payload scientist Gioia Massa. All in all, if we want to do some long term space travel, we have to grow space food, so it’s pretty surprising that we only just recently started researching this. But growing food in outer space is not like doing so down on Earth. Astronauts must grow the plant in rooting “pillows” containing the seeds because there’s no gravity. Also, you need some artificial light – in this case, they use a flat panel that gives off red, blue and green lights using LEDs. All these facilities exist in the Lada greenhouse that has been aboard the ISS since 2002 and has been used to study plant growth in microgravity. Until now though, none of the plants was eaten, but that’s about to change. Tonight’s menu includes red romaine lettuce; they will eat a part of it, and save the rest for experiments. For now, studies will focus on actually growing the food and studying its nutritious value, but soon, scientists will work on ways to increase crop yield.